Unlike Tokyo Disney Resort, Disneyland Paris had always been at the bottom of my Dream Trip list, due to all the reports of bad food, lack of upkeep, rude cast members and even ruder guests (Spoiler Alert: We didn’t experience any of this!). I was also pretty soft on a return trip to London, having spent a dramatic last year of college there. But then Netflix agreed to finance a Dark Crystal prequel, Patrick spent nine months at Jim Henson’s Creature Shop building Podling parts, and everyone on the crew was invited to visit the set of The Dark Crystal: Age of Resistance in London. We couldn’t pass that up! I would love to say that we did the all the hip, insider, off-the-beaten-path stuff in these cities. But I first visited London and Paris when I was young and dumb and trying so hard to live like a local that I avoided all the tourist attractions to a fault (“Join the rest of the class on a side trip to the Eiffel Tower? Nah, I’ll just wander around with my Walkman, moping to Catherine Wheel—thanks!”) And Patrick had never been to any of these countries. So it was with relish that we jumped head-first into an itinerary that hit as many major tourist attractions as possible. Hopefully this will give you an idea of which ones are worth your time and which can be skipped in favor of, say, an artisanal organic macaron-making tour of a Parisian microdistrict. With a guiding principle of “See EVERYTHING!! !” I knew we’d need at least a few parameters to help us choose among the myriad activities, hotels and restaurants in each city. Monarchy: Yes, it’s a total cliché that Americans love the British monarchy, but we found that learning about it also gave us a good overview of British (and to some extent French and Scottish) history. Once we got all the kings and queens straight, we were able to understand where each of the tourist attractions we visted fit in the timeline. We bought a used box set of the BBC documentary series Monarchy, which turned out to be a great (if a bit cheesy) set of Cliff’s Notes on British history. We also watched documentaries on Versailles (so Patrick could understand why I’d used an entire day of our trip on it) and the French Revolution. And of course we supplemented those with all the major Hollywood movies about British monarchs, plus both seasons of The Crown. Movie Locations: Our favorite hobby is watching movies together, so I made sure to build in two movie-location tours on top of the Dark Crystal set tour we got. Before Sunrise and Before Sunset are two of my all-time favorite movies (although I consider Before Midnight to be tied with P.S., I Love You as the Scariest Horror Movie for Married People), and since they hit so many beautiful Parisian sites in the latter, it was a no brainer to do a walking tour of filming locations. The other tour may seem a bit more obscure: One of our favorite movies of 2016 was Hell or High Water, and the director’s next project is an epic miniseries about the Medieval Scottish hero Robert The Bruce called Outlaw King (on, what else, Netflix… Dang, maybe I shoulda gotten Netflix to sponsor my trip!). I thought we’d enjoy it even more if we’d actually been to some of the places where they shot it, and we could learn about the real history of Robert The Bruce to boot (just in case the movie has him on a motorcycle wearing shades and popping wheelies in front of explosions, or something). 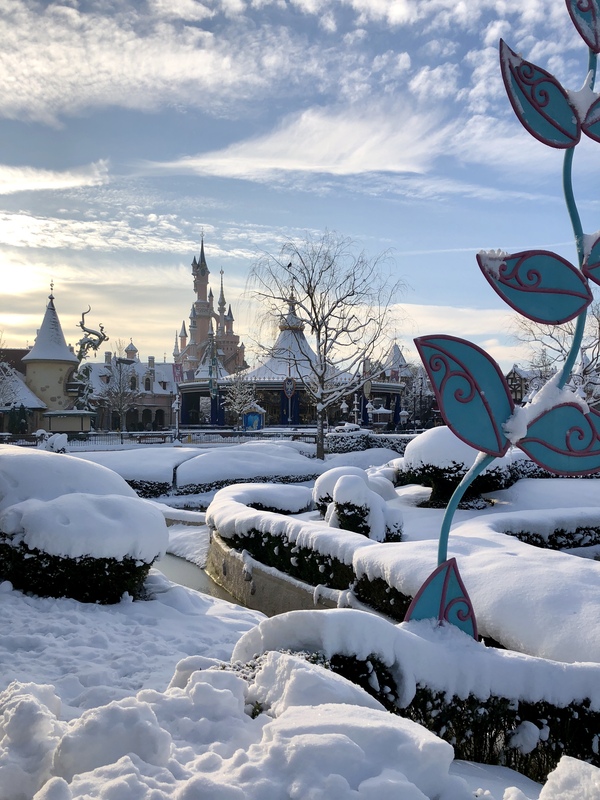 Here’s a photo of Disneyland Paris in the snow to reward you for getting this far! The Most Important Lesson I Learned: People in Paris are nice! Like, nicer than people in big American cities! I don’t know where I got the idea that they would be exasperated by my rudimentary French or sneer at my Americanness. (I’m looking at you, Internets!) Granted, most of the people we met were in the service industry, but they were all so warm and kind to us in a way that you don’t always find with waitstaff, taxi drivers and tour guides in the US. I did have my French corrected by a couple of people (as I’d been warned), but, frankly, I needed the instruction! I’ve watched enough Monty Python and DuckTales to be able to understand English and Scottish accents pretty well. But my only experience with French was my high school attempt to teach myself the language via a 1950s Berlitz book I found at the library. That was good preparation for numbers and colors and announcing that I have closed the window, but I wanted to expand my repertoire for this trip. I went back to my trusty Pimsleur audio courses, which were so helpful to me when I needed to learn Japanese in a hurry for our Tokyo Disney trip. But this time I supplemented it with Rosetta Stone, which is a lot cheaper now that you can pay for just a few months’ online access instead of buying a whole big set of CDs. Each day for two months I did one Pimsleur lesson and as many lessons of Rosetta Stone as I could manage. Their mobile app works way better than the online interface, and it’s easy to drop in and do a few lessons at a time. I think that doing the two methods together was a big help. Rosetta Stone is kind of fun and like a game, but you can also “game” it by learning the patterns and anticipating the answers—and there’s zero accountability for the pronounciation practice. Pimsleur really forces you to think but doesn’t cover as much new ground in each lesson. I have to give a shoutout to The Disney Tourist Blog’s fantastic Disneyland Paris trip planning guides because—in addition to being a comprehensive resource for helpful planning tips—they emphasize cultural sensitivity and the importance of at least trying to speak the language when you’re in France. On Tom’s advice, I taught Patrick to say, “Excusez-moi. Je ne parle pas Français. Parlez-vous Anglais?” (“Excuse me. I don’t speak French. Do you speak English?”) in case we were ever separated and he needed help. Patrick got a kick out of trying it on every French person we met, and they always giggled and cooed over him. And that was just the dudes! Virgin Atlantic Premium Economy, where have you been all my life?! It’s technically a compromise between Economy and Upper Class, but many people find it to be on par with the First Class offered by most American carriers. We were traveling at such an unpopular time of year that when I went to buy our plane tickets, Premium Economy was only a hundred bucks more than I’d been expecting to pay for regular Economy! I would advise booking as early as possible, though. Unlike domestic flight prices, which start out high and then get lower as the date approaches and airlines get desperate to sell seats, international tickets seem to only get more expensive. I made the mistake of waiting a week to see if prices would go even lower, and they went up another hundred bucks. After agonizing about whether to just buy Economy seats, I decided to splurge on Premium Economy because it was our 10th anniversary trip (this is an excellent excuse to spend money on anything and I highly recommend it!). It was SO worth it! Our first flight was overnight, and we were actually able to sleep! Even though the seats don’t lie flat, they do recline quite a bit. They’re also wider than Economy seats, and there’s more distance between rows. Even better, the configuration is two seats to a row (unless you book in the middle section) so you don’t have to climb over a stranger whenever you need to get up. The food is served on real crockery and is on par with the meals we’ve had on the rare occasions we scored a free First Class upgrade. Plus the flight attendants are constantly coming by with snacks and drinks, and there’s a “Wonder Wall” full of additional snacks at the front of the cabin. Tacking Scotland on after Paris made our connecting transportation a bit more complicated because we had to go London > Disneyland Paris > Real Paris > London > Scotland > London. Getting to Disneyland Paris from London is SUPER-easy because there is direct Eurostar train service to the station at Downtown Disney. Note that it only operates daily during school holidays; the rest of the year, direct service is only available on Sunday, Monday, Wednesday and Friday. Prices rise the closer you get to your date, so book as soon as you can. We booked the Standard Premier class from London to Disneyland Paris because it was only about $20 more per ticket. But going back from Real Paris to London, Standard Premier was about $85 more per ticket, so we just booked Standard class. This turned out to be the way to do it: Apparently the Standard cars were full to bursting on our trip to Disneyland Paris, with the conducter making regular announcements about making room for boarding passengers and their luggage. Meanwhile, we were rattling around a virtually empty Standard Premier carriage. But our ride in Standard class back to London was fine—the only thing we missed from Standard Premier were the cup holders! The website Seat61 is a fantastic resource for information about Eurostar, including detailed diagrams of all the different train carriages, photos of where to go in the stations, and info on how to pick the best seats. Seat61 is a great resource for this train trip too, especially if you want to be sure you’re near a window and facing forward. Or you can just ask wait and ask the conductor, “Is this the direction we’ll be traveling in?” to which he will reply, “I sure hope so—otherwise we’re gonna end up in the station!” and Patrick will do a spit-take! In the interest of saving time, I booked a short (1 hour!) flight from Edinburgh to London Heathrow on our last day, leaving a 3-hour gap before our flight home on Virgin Atlantic. Not much to say here… It all went really smoothly! Because I booked the two flights separately, we did have to fetch our luggage at Heathrow and schlep it over to a separate terminal for our flight home, but the free Heathrow Express service between terminals makes this very easy. We did have to go through security again, but I’d rather drag my own luggage between two connecting flights than rely on the airlines to get it right! Heathrow’s website has a helpful tool for figuring out which terminals you need if you have to make connections. First, I highly recommend the CityMapper app for figuring out the best combination of transport for each trip. It shows you prices and estimated travel times for trains, buses and even Uber and cabs. I never felt stranded because I could just punch in where we wanted to go and make an easy decision on the best method for getting there. It was also really helpful when one of the trains we were on had an unexpected disruption. We knew exactly which stop to exit the train to avoid the delay, and what our alternatives were. Airport: The Heathrow Express train is a fast, easy way to get from the airport into Central London, but it only gets you as far as Paddington Station (of Bear fame), so then you need to either get a taxi to your hotel or schlep your luggage on the subway. Tickets range from £22—£25 per person, depending on day and time, so to me it was a steal to book a private car directly to our hotel for only £44. (However, advance ticket prices for Heathrow Express can be as low as £5.50/person if you book 90 days ahead and travel on a weekend). I did a lot of research because I’d read so many complaints online, and Blackberry Cars came out ahead. They don’t have an app yet, but it’s fairy easy to book on their website. The driver was punctual, professional, and called twice to alert us of his whereabouts. However, we also used Blackberry a few days later for the hour-long trip out to the Dark Crystal set, and that driver was 30 minutes late to pick us up “because of traffic.” (Call me crazy, but if your job is to drive in London, shouldn’t you be able to anticipate traffic?). He managed to get us there on time via a combination of speeding and me having booked him earlier than we needed. The Tube: London’s subway system is supposedly the easiest to navigate in the world, and I believe it. I thought I’d be rusty after so many years away, but it was super-simple to figure out again. You can buy individual tickets, but most people use a pre-paid Oyster Card (cute, but not as cute as Tokyo’s PASMO & Suica! ), which you can buy from machines at the station and from little newsstands and tobbacco shops. You can also buy a traveler’s version before you leave the States, but it is pointless because they charge you for shipping and you can’t get unused credit refunded the way you can with a regular Oyster card. At first I didn’t think we needed Oyster cards, but then I realized they are the only way to ride a classic red double-decker bus (which, we learned from Rick Steves, are a great cheap alternative to pricey hop-on/hop-off tour buses)! You can’t pay for bus rides with cash or even use a credit card. After wistfully watching double-decker buses go by for a couple of days, I finally got us two Oyster cards so we could have a ride. And then of course we started using the Tube a whole lot more too! Uber/Gett: For those trips where the Tube can’t get you close enough or you just can’t walk another step, there are plenty of ride options available in London. The Gett app is like Uber for licensed black cabs, so you have the convenience of hailing a cab from your phone and paying by credit card (some black cabs only accept cash unless you’re using Gett). We found it to be the far superior service in London. To drive a black cab, applicants spend something like 3,000 hours of study and years of their lives learning every street and lane in London to pass a tough test called The Knowledge. These guys (and a few ladies—the one female cabbie we got said less than 3% of drivers are women) know their stuff, and they can also provide valuable tips and colorful commentary, if you want it. Plus, black cabs are designed for easy-in and easy-out with luggage: flat floors, wide doorways and lots of handles. The Ubers we took were middling, at best. One driver dropped us off at THE farthest point from the entrance to the Tower of London possible but kept insisting this was our only option. Gett does cost a few bucks more than an Uber, but we could really see the difference. RER: The RER (which apparently is pronounced as individual letters, not like “rare” – oops!) comprises five high-speed train lines that connect Paris to the suburbs. This is what you’ll take to get between Disneyland Paris and Real Paris. This turned out to be a little more overwhelming than I had been led to believe. (Dang you, Internets!) It was the only long-haul trip we couldn’t book in advance, but all the resources said it was easy to just show up, buy your ticket and grab one of the trains that ran from Disneyland’s Marne-la-Vallée/Chessy Station to Paris every 15 minutes. The trip into Paris’ central Châtelet – Les Halles Station takes about 40 minutes. The Métro: Paris’ subway system didn’t seem that much more complicated than London’s, though I confess we only ever used it in the company of our private tour guides. One thing we noticed is that a lot of the ticket slots in the exit gates have been blocked off, so you’ll get to a bank of eight or 10 exit gates and find everyone funneling through just one of them. What proved to be really tricky for us was the HUGE Châtelet – Les Halles Station, which is where you’ll get off the RER if you want to go to central Paris from Disneyland. I now know that it is the largest underground station in the world, which makes me feel less embarrassed about nearly bursting into tears trying to figure out how to get out of the station via the correct exit! (Not to mention having to drag our heavy suitcases up about 85 flights of stairs!). Uber/G7: The two main ride apps in Paris seem to be Uber and G7. Like Gett, G7 will fetch you a licensed cab, and although Rick Steves advised that Uber drivers were friendlier and more reliable, we found the opposite to be true. Once again, our Uber drivers would dump us at the worst possible access point for the major landmarks we wanted. Because Uber is slightly cheaper, I started using it only to get us back to our apartment (no way to mess that up!) and using G7 to take us to the landmarks. We got several really friendly, chatty G7 drivers and had some interesting conversations. More of them spoke more English than the Uber drivers, though of course the Uber app tells them what they really need to know for you. This is where transportation got tricky… When you’re in the city, Uber and Gett work great. Edinburgh also supposedly has one of the top bus systems in the world that wins all kinds of awards. But half of our stay was out in the (sort of) countryside, and whenever I turned on Uber and Gett, there were no rides to be found. I should have rented a car for that portion of our stay, but the car rental desks at Waverly Station were all closed by the time our train arrived. And I couldn’t bear the thought of taking a cab to the airport to rent a car we could only use for a day and a half and then would have to pay to park someplace for two days when we were back in town at The Witchery. Our bacon was saved by Jimmy’s Private Hire (Phone: 07866 570212), a local pre-book-only cab company. They don’t have an app—they don’t even have a website! But they were available within 15 minutes whenever we needed them, anytime of night or day, and they take credit cards. I even booked them to take us to the airport from central Edinburgh on our last day, and it was so nice to have someone familiar send us off on our journey! OK, it’s been a while since we had a photo that wasn’t a naughty soup carton. 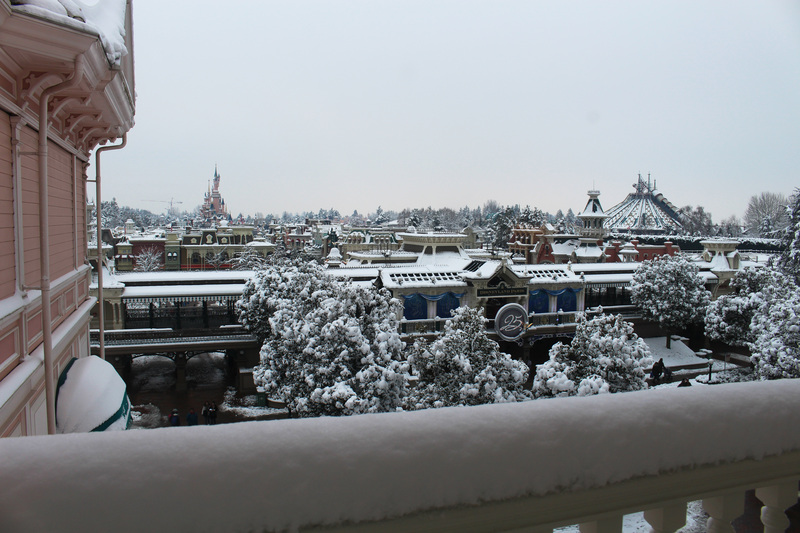 Here’s another picture of Disneyland Paris in the snow to keep you going! 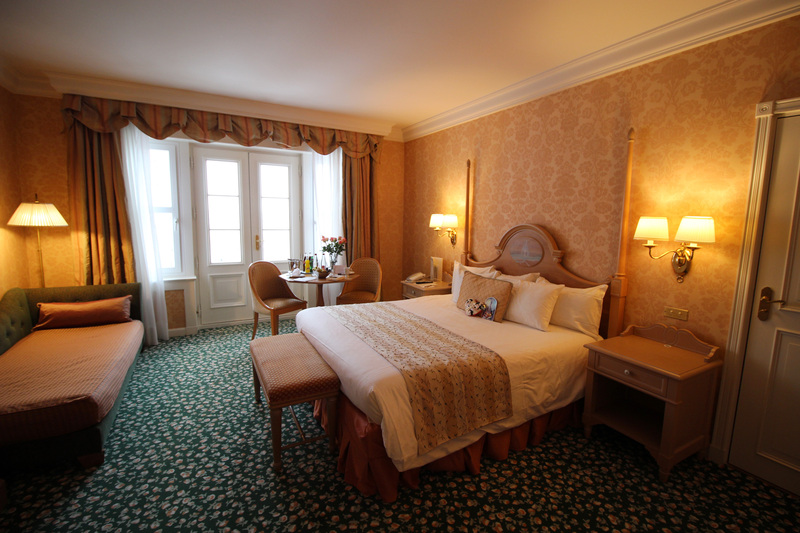 You can book the hotels at Disneyland Paris directly through Disney’s website. The Disney-owned hotels include park admission in the room rate, and you can add on meal plans, so you’re really booking a package. The one tip everyone gives is that you should price out your stay on all the different language-versions of the Disneyland Paris website. The US site seems to always have the highest prices. The UK site seems to get fairly good package deals, but don’t forget that your quote is in pounds, not dollars, and with today’s exchange rate that’ll add an extra 40% to your price! I’ve heard of people getting better deals by booking via the French or German sites, but apparently it changes all the time. If you want to stay in a Castle Club room—their version of Club Level/Concierge and the only way to get a room that looks directly into Disneyland—none of the promotional packages apply. And, irritatingly, you can’t book online. 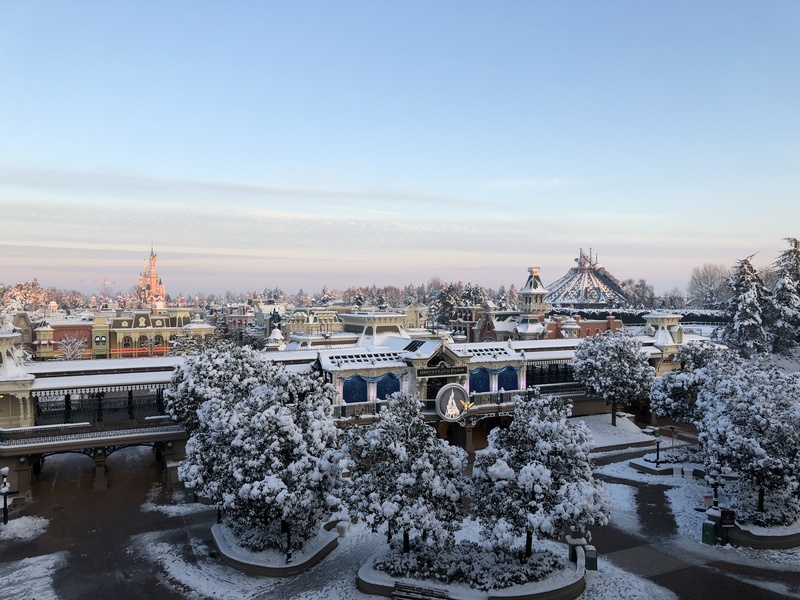 You have to call or email the Disneyland Paris Suites department (dlp.suites@disneylandparis.com or +33 1 60 30 60 90 Monday–Friday: 9am to 7pm; Saturday 9am to 5.30pm [French time]). I ended up booking our Castle Club Park View room via UK travel agency Magic Breaks because the price they quoted me was about $500 less than what I was quoted by Disney, but I’m still not sure it was worth the frustration. Once you book through an agent, Disney basically will no longer talk to you for anything. When I tried to add a cake or even just a note on our reservation, Disney kept referring me to Magic Breaks. Meanwhile, it was like pulling teeth to get help from Magic Breaks. Until about two weeks before our trip, I would have to send multiple emails and wait days or even weeks to get a reply. They offered to make all my dining reservations for me, and I got them my requests right away, but the day my window opened came and went with no word from Magic Breaks. I ended up making a $15 phone call to France to make all the reservations myself. Also, you can pay Disney by credit card, but I had to pay Magic Breaks by wire transfer, which cost me another $40. I kept asking my agent if she wouldn’t like to pass me off to an underling (who would actually have time to reply to me) but this never happened. When I later asked her to help me add a €25 standard cake to my reservation, Magic Breaks ended up covering the cost for me because they said taking payment would be too much of a hassle. So I guess that was good. But overall, this was definitely the most stressful aspect of trip planning and reconfirms that I am too Type A to work with a travel agent. St. Martin’s Lane Hotel, London: The biggest reason is it’s two doors up from the apartment where I spent my happiest time when I lived in London. In fact, they were just breaking ground on this hotel when I left! It is SUPER-central: Just up from Trafalgar Square, just down from Leicester Square, and right around the corner from Covent Garden, so you’re never more than 5 minutes from a Tube stop. Also, the price was shockingly low for February—like $50-$100 less per night than the tiny Air BnB I was going to book around the corner. I did find that the price on their website varied by day. I actually got a lower price by booking through a web browser window I’d left open the day before instead of the one I’d opened that day! This hotel had zero theming but all the amenities we could ask for: central location, King-sized bed, separate shower and WC areas, room service… the works! We also requested and got a nifty view out over the rooftops toward Trafalgar Square—including the tower of the London Coliseum, home of the English National Opera, and the spire of St. Martin-in-the-Fields church—and they arranged a free anniversary dessert for us. 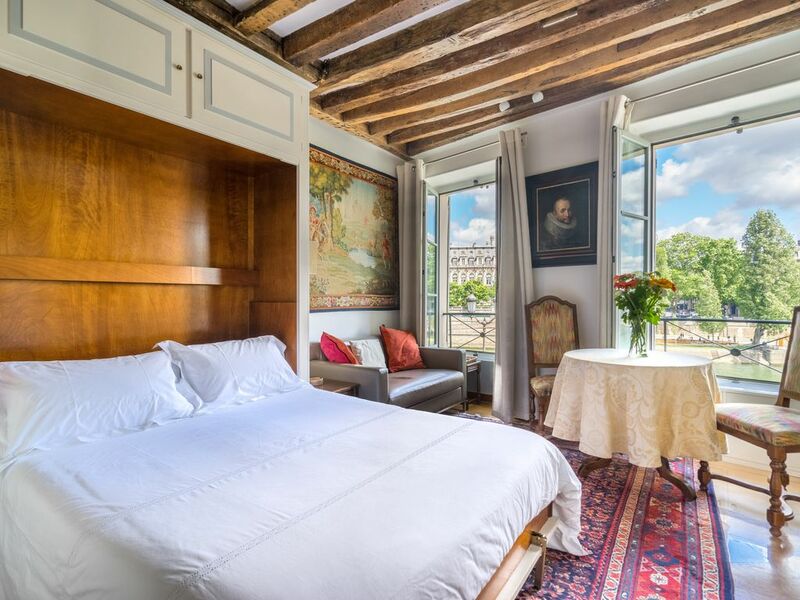 Île de la Cité apartment via HomeAway, Paris: I cannot rave about this place enough. It is right on the Seine River (basically no hotels overlook the Seine, not even posh ones), also shockingly low-priced for its location, and has every amenity you could desire. Within 15 minutes of checking in, I wanted to buy the place! The hostess met us there and spent 45 minutes explaining how everything worked and answering all our questions. She even gave us restaurant and grocery recommendations. Île de la Cité is the island in the middle of the Seine that is the location of Notre Dame, Sainte-Chapelle, and the Conciergerie and is the birthplace of Paris. It has its own Metro station and (when there isn’t record flooding of the Seine) a RER-B station (not the RER-A, which is the one that goes to Disneyland Paris, but it’s easy to connect or just walk to the RER-A station at Châtelet – Les Halles). There is also a water taxi that takes you to spots along the river, but it wasn’t operating because the Seine had risen to record heights, making it impossible for boats to pass under the bridges. Dundas Castle Boathouse, Edinburgh: I found the Boathouse as I was Googling for castle stays and beginning to realize that most of the rooms in these places have had all the charm and character modernized right out of them (the tradeoff: less damp, plague and chamber pots). 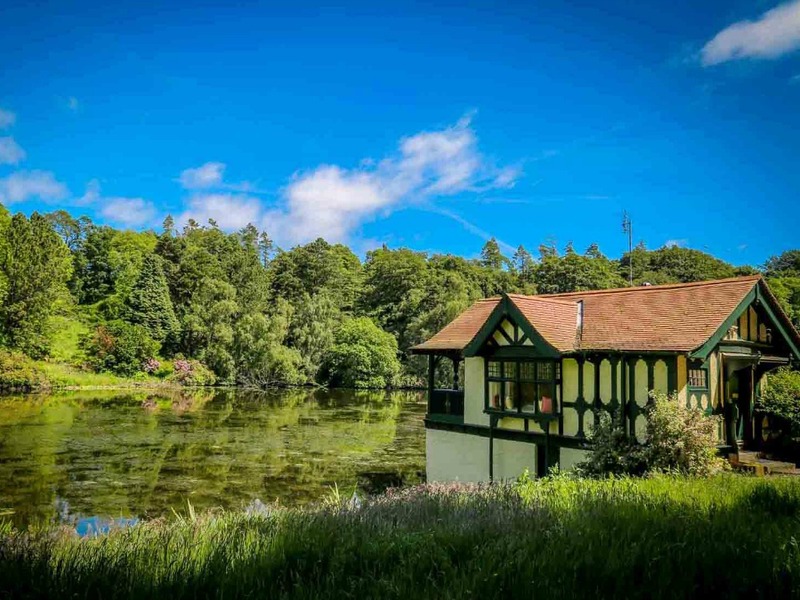 But then I saw that Dundas Castle also had a tiny little Boathouse, and when the photo loaded, I was sold! It’s a small, reasonably priced cottage with all the amenities, perched over a private lake that’s home to a family of swans, and the interior retains its (I’m guessing) 1920s-era charm. It’s secluded enough that you feel like you’re off the grid, but it’s only about 10 minutes from the airport. Another Spoiler Alert: The day we spent here was my favorite of the entire trip! 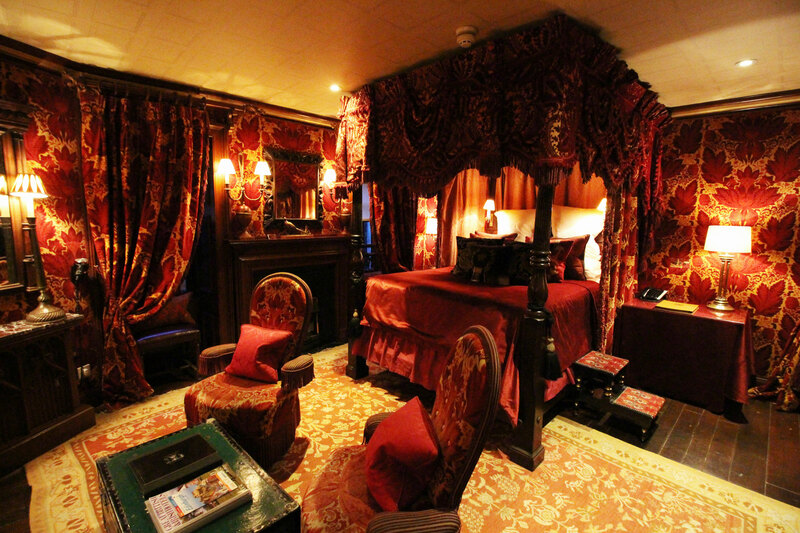 The Witchery, Edinburgh: Now THIS is where you stay if you want to feel like you’re sleeping in a castle! The Witchery has nine ginormous suites spread over two buildings on either side of Edinburgh’s Royal Mile, two doors down from Edinburgh Castle. It is exhorbitantly expensive, but it was totally worth the splurge just to see the look on Patrick’s face when the concierge opened the door. The theming of the rooms is off the charts! Canopied bed, clawfoot tub, separate sitting room and kitchen, tapestries everywhere, and every last stick of furniture is an antique. 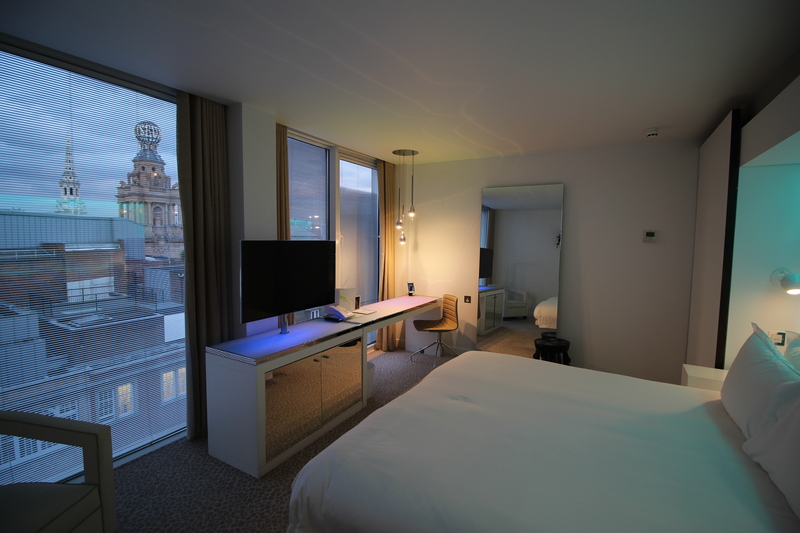 The only thing it doesn’t have is a view, but you will be too busy gawking at the interior of your room. There were only a few left when I booked; I chose the Semphill Suite because it had a canopied bed that wasn’t out in the middle of the room. When I wrote this section for our Tokyo Disney trip report, I said, “We are not ‘tour’ kind of people…” But it turns out we ARE tour kind of people… We are just private tour people! I get super-stressed out by group tours when the guide isn’t loud enough or they’re just answering the questions of the people nearest them without sharing the info with the whole group. But I knew that tours would provide us the kind of deep dive into each location that we were looking for. So when we went to New Orleans for my birthday last year, we tried a couple of private tours, and I was hooked. You get one-on-one interaction with an expert who doesn’t just tell you what you’re looking at, they explain why it’s important and point out features you otherwise would miss. The downside is that they are expensive. I know not everyone can use the “It’s our 10th anniversary!” excuse to spend money on basically anything, but maybe you’ll be inspired to try one or two of the tours we liked. As in Japan, I booked most of our tours via Viator, a sort of brokerage for a bunch of independent tour companies. I noticed that a lot of their “skip the line” offers are just an extra charge to do something you can do yourself, namely, buy tickets in advance. Also, you can sometimes figure out which tour company is offering the one you want and book for less on their site. But Viator offers one-stop shopping, and sometimes they have discount codes that can save you 10%-15%, depending on how much you spend. Booking a tour to the Palace of Versailles was tricky. There are a lot of half- and full-day tours that go to the public rooms and gardens that anyone can see, but in order to get to the Kings Private Apartments or see the Royal Opera House, you have to find a registered guide and pay a hefty extra fee. A lot of the independent companies that do offer this also throw in unnecessary stuff like chauffeur service in luxury vehicles that allows them to jack up the price. I finally settled on Localers because they cut out the transportation (your guide escorts you to Versailles on the train) and had a 20% off coupon that took the edge off the astronomical price. I will of course go into it in more detail on that day of the trip report, but this was one of the best tours we had and worth every penny. I’ll put links and info for each tour in as I get to them in the trip report, but if you can only do one or two private tours, I’d recommend one for the British Museum and one for the Louvre. Both places are HUGE, and you will get so much more out of them if you have someone guiding you to the highlights—and I don’t necessarily mean the most popular sights. Both guides led us to fascinating artifacts we never would have noticed otherwise. The tours also allowed us to feel like we’d had a good overview of each place in only a short amount of time (because it would take days to see everything). Combination tickets that give you access to a bazillion tourist attractions usually stress me out because I have to be sure I’m getting my money’s worth. But there were two that made sense. The Scotland Explorer Pass was great for the days we toured castles and filming locations because we hit so many in a short span. Even if you’re only doing Edinburgh Castle and Stirling Castle, it pays for itself. We also bought an annual membership to Historic Royal Palaces because you can use it to skip the line at the Tower of London and we planned to visit Kensington Palace. The fact that it got us into the Banqueting House was a bonus that we were able to take advantage of when some time opened up. If you have more time, the card also gets you into Kew Palace, Hampton Court Palace and Hillsborough Castle. For the palaces that aren’t covered by this pass, like Holyroodhouse, many have an offer that lets you turn your day ticket into a free annual pass. Credit Card: There are a lot more U.S. banks offering no-foreign-transaction-fee credit cards now than when we went Tokyo! We used our Barclaycard Arrival Plus card for all credit card transactions, including my new favorite thing in the world, contactless payments! I know there are some places in the US that you can pay by tapping your phone to the credit card reader, but in Europe they are EVERYWHERE! No more fumbling for your wallet or, in Patrick’s case, fishing your hidden moneybelt out of your pants! You just wave your phone near the reader, doubleclick the side button, then hold the phone up to your face or tap the thumbprint scanner and you’re done! It is sooooooo easy and sort of addictive. Also, at Disneyland Paris you can charge purchases to your Disney-owned hotel room, just like at Walt Disney World. ATM: We busted out the trusty Charles Schwab Investor Checking ATM card we got for our Tokyo trip, which charges no fees for international ATM withdrawals AND refunds any fees imposed by the ATM owner. It was really easy to get cash this way in the UK and in France, although we were surprised to find that the Disneyland Hotel has no ATM! There is one in each of the arcades behind Main Street, though. Cash: Before we left, I ordered £100 and €100 from our bank so we could hit the ground running with spending money. Don’t do this. I don’t know why I thought I had to do this. The bank’s exchange rate is the worst. There are ATMs all over the airport. It would have taken me two minutes to grab some cash with my Schwab card on the way out. So much has improved in this arena. Our Tokyo trip involved a complicated combination of pricey international data packages and renting a local cell phone. Even fairly recent online guides make it sound like you have to rent a MiFi device and buy a SIM card at the airport to create your own WiFi network. But if you’re an ATT mobile customer, they have *finally* introduced a reasonably priced international data package that lets you use your cell phone just like you do at home—and it isn’t the lauded AT&T International Day Pass! That plan sounds like a good deal, but if you have two phones and are traveling for more than 6 days, it will cost a lot more than just activating AT&T’s Passport data plan. I bought 1 GB for Patrick and 3GB for me, with the assumption that I would be the one getting the maps, using Uber, etc. I actually could have gotten away with 2 GB of data for our 18 days, it turns out. All the hotels we stayed in had WiFi and some of the trains, though service on trains was a bit spotty. I never did get it to work on our Virgin Trains East Coast ride, but I just turned my cell phone into a hotspot for the iPad. The worst WiFi was on our Virgin Atlantic flights, where they charge $22 for a measley 150 MB (that’s right MEGABYTES! Not Gigabytes!) of data, and heaven help you if you navigate to a site with autoplay videos and ads, like Apartment Therapy. The first time I logged on, the service claimed I’d used all 150 MB in the first 45 seconds! You don’t need one! Most modern electronics (cell phones, tablets, charger for your camera battery) run on dual voltage, so all you need is cheap adaptors to make your plug fit into the electrical outlet. Unless you absolutely have to bring your hair dryer or laptop, skip the voltage converter and just buy European and UK plug adaptors (unfortunately, they are two different styles). I liked this little unit because it includes plugs for the UK and Europe and has four USB slots, so you don’t even need to bring the plug end of your iPhone/iPad charging cable. Well bless you for making it all the way to the end! 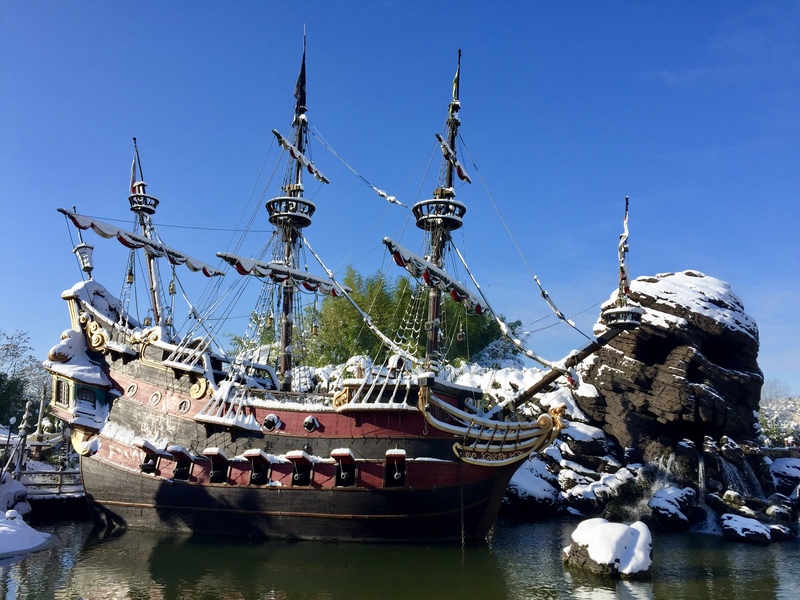 Here for your viewing enjoyment is one of my favorite things about Disneyland Paris, the homage to Disneyland (California)’s long-gone Chicken of the Sea pirate ship and Skull Rock… in the snow!!! Up Next: Hitting the Ground Running in London! Awesome information! Looking forward to the rest of it. I visited Disneyland Paris with my husband last summer and from all the “Internets” decided to hire a private service to take us from real Paris to Disneyland Paris. It just seemed like it would be too overwhelming. The private service was great and they arrived early to pick us up. Definitely would do that again. I’m so glad that you’ve got another trip report! I’ll be honest, I’ve probably read all of your trip reports three times each ;)… looking forward to reading the rest! That’s awesome! I’m glad to know they provided so many (MANY) hours of entertainment! Oh my word—how has it been five YEARS since your Hawaii trip? We finally went two years ago and whenever I start dreaming about it again, I read through your trip report just for the pictures. Scotland is also on my wish list, and I love your detailed reports, so I’m really looking forward to this one! I know… It took us that long to save up for this blow-out trip! 😀 I’m so glad you’re still interested in the reports! Been following your trip reports for years – I live in South Queensferry so its so weird to think you were on my doorstep! LOL! I feel the same way about Disneyland trip reports… It’s supposed to be “my” park cuz I live nearby, but I don’t keep up on any of the news or changes! Wow! That was a tremendous amount of information! I’ve totally bookmarked this to find it in the future for a possible trip. Thank you! Can’t wait to read more! Oh good! I hope it’s helpful. Sorta like a mini-trip report all by itself!